Ah Christmas is over for another year. I'll miss the magic of it all, although I won't miss all that excess food... well maybe just a little. I had 3 roast dinners, probably the equivalent of 2 tins of Roses and more mince pies, stolen and cheese boards to last me to summer. Needless to say my Christmas jumper is not just there to look pretty, but to hide my growing paunch. I won't feel guilty though, its been yummy AF, although maybe it's time to tone it down a teeny bit. My problem is though whenever I start eating healthy my social life goes out the window. Well no more! 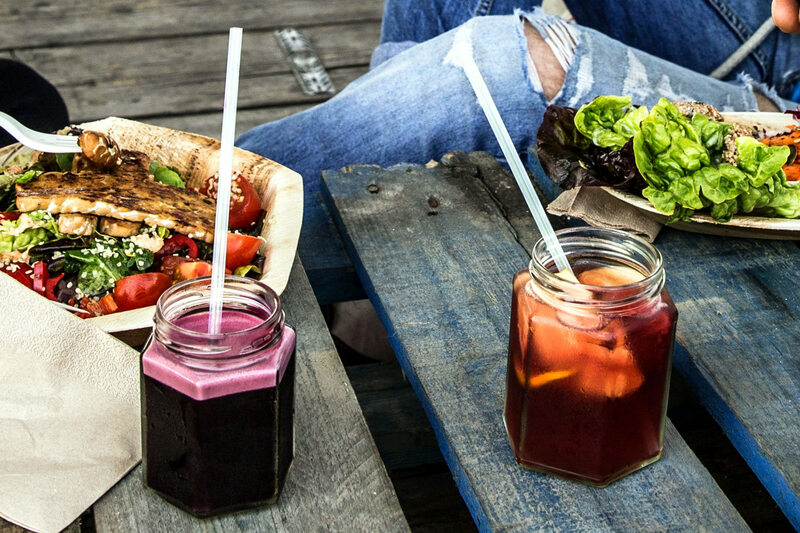 Here are the best healthy detox restaurants in London, so you can eat, be healthy and be social. Win. 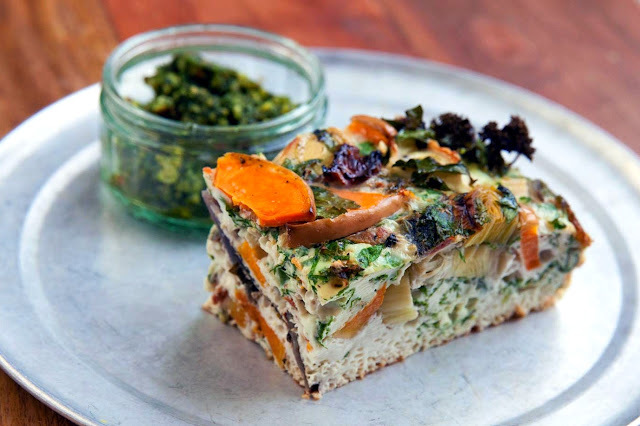 Straight from LA, it follows their beloved 'Clean and Lean' approach to eating out. This is a little less detox, and just a bit more smart. I'm a lover of the traditional breakfasts. chia seeds really aren't what I crave, so the Skinny Benedict is more my style. Made from avocado,cherry tomatoes on whole grain bread with a poached egg, and the skinny part? Drizzled with saffron natural yoghurt, instead of calorific hollandaise sauce. Oh and if you still want to indulge without quite so much guilt, there is raw brownies and other healthy alternatives. 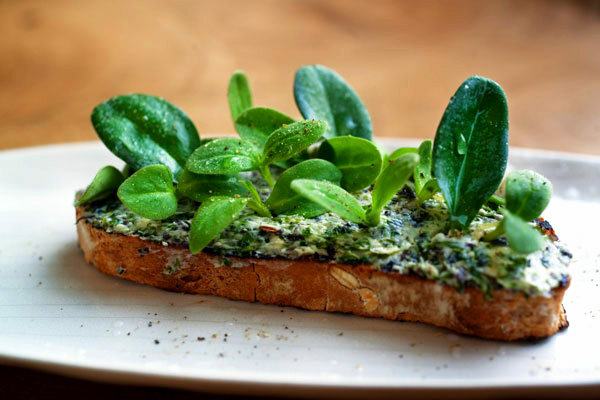 Although the Grain Store is not a vegetarian restaurant, it very much puts vegetables first, even to the extent that the menu lists them first. This is the type of restaurant that has a menu to impress and makes for a healthy date night alternative. The setting is beautifully designed, yet still with a relaxed vibe, but with offerings such as Dried fava beans & kishk soup, pomegranate molasses and Farro wheat ''risotto'', Jerusalem artichokes, leeks & chestnut mushrooms, it says you'll have to work to impress me. The brunch menu is pretty darn nice too with Toasted banana loaf, vanilla ricotta, warm passion fruit sauce on offer, it'll make for a guilt free catch up with the girls. The Detox Kitchen started out as a meal delivery service that created nutritionally rich, healthy and yes, detoxing food. 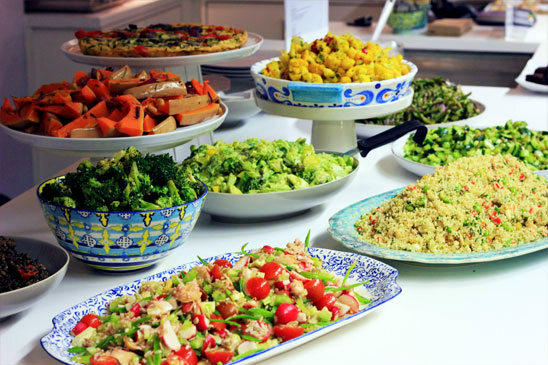 However they now have a deli where you can get the same fresh dishes that are free from wheat, dairy and refined sugar, without the commitment to a monthly fee. I'll be the first to admit that wheat, diary and sugar free sounds, well, boring as hell, but surprisingly they aren't at all. I'd recommend grabbing some big old salads and (wheat free) muffins between you which is perfect for getting the girls together and gossiping over. 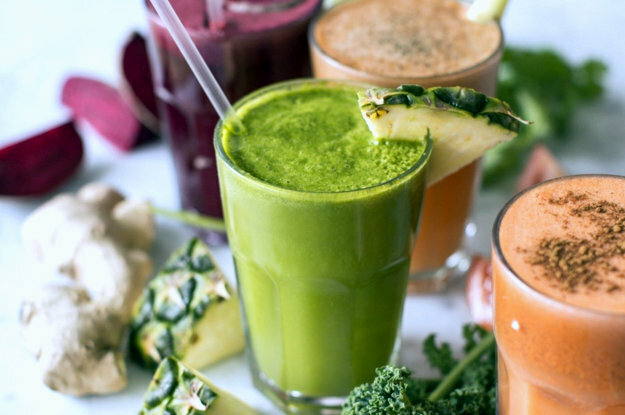 It was the first cold pressed juice bar in London, which if you are like me and had no idea what this actually meant, it basically means a very fancy way of juicing veg: refers to juice that uses a hydraulic press to extract juice from fruit and vegetables. Fancy. Apparently this keeps all the pulp in without it being a smoothie, and so you get 100% of the vitamins and nutrients. Pear, Alfalfa, Cucumber, Chillies, Kiwi, Lemon is pretty darn tasty and for a mere 25 calories, well I'll be skipping next. Some healthy eating venues are well... a little too virtuous. In need of the good time vies of a dirty burger joint? Redemption Bar does a mighty fine job. Whilst it is a alcohol free bar, the mocktails are so good you won't really care theres no booze. Try the coco-rita, A coconut water, lime and agave syrup ‘margarita’, shaken over ice and served in a salt-rimmed glass for that Friday night feel. It's the kind of bar where you can have a night out, but still remember it in the morning. The concept is to bring a little of that god old California health buzz to London. Whilst I can't guarantee the weather, the tropical juices will at least make you feel summery- even if it is just until the last glug. The concept is farm to table meaning everything is locally sourced (London sadly not California), meaning there is gorgeous fresh creations every day. Whether it is a chia seed and almond pot for breakfast or a Red & white chicory, courgette, cashew & Stilton dressing salad with Salmon for lunch, there is something for everyone. 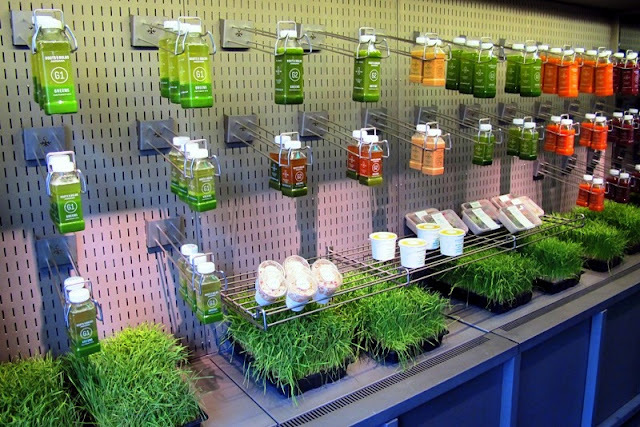 Oh and of course not forgetting the juice bar- well it wouldn't be a detox without a juice or two would it? Try the Pear, spinach, goji berries, hemp seeds & apple for a real delight. Redemption Bar has been on my list of places to go to for a while. I heard so much about their yummy mocktails. The Detox Kitchen really is very tasty, although not cheap ;) Thanks for the other tips, will definitely have to check out!